The following was written by Becky Hammer, NRDC’s deputy director of federal water policy, and originally appeared on the NRDC blog. 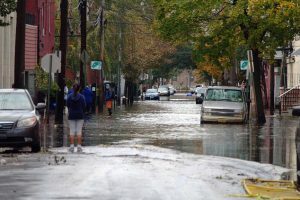 A new model ordinance will help New Jersey communities curb harmful stormwater runoff that pollutes local waterways and contributes to urban flooding. The model ordinance is a new “action” promoted by Sustainable Jersey, a nonprofit organization that provides tools and training to support communities as they pursue sustainability goals. Under Sustainable Jersey’s sustainability certification program, municipalities undertake voluntary “actions” to earn “points” toward certification. 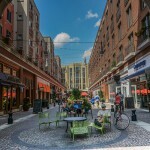 The model stormwater ordinance, which was developed in collaboration with NRDC, joined the menu of eligible sustainability “actions” last month. Polluted runoff from cities and suburbs is New Jersey’s greatest water quality challenge. Whenever it rains, water flows off parking lots, roadways, rooftops, and other hard surfaces, picking up pollutants and litter. This contaminated runoff drains directly into streams, rivers, and tidal waters. About one-third to one-half of all water bodies in the state are violating water quality standards because of runoff pollution, including beloved waters like Barnegat Bay. 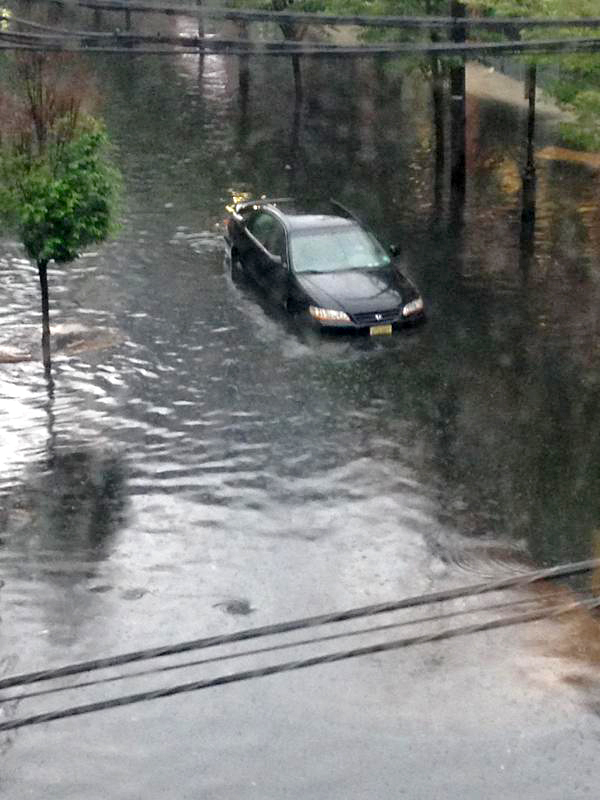 Stormwater also contributes to costly urban flooding that damages homes, businesses, and roads. Paving over natural areas dramatically increases the amount of water running off the land during storms. As a result, development worsens communities’ vulnerability to floods. Over the last decade, lax regulation has allowed these problems to worsen. The state’s Department of Environmental Protection administers statewide rules governing how development projects manage the stormwater their sites generate. The current rules establish weak and outdated standards. As a result, water quality continues to worsen across the state. For several years, we’ve been advocating for DEP to strengthen these rules. Governor Murphy’s new administration finally seems poised to take action—though it’s too soon to tell whether it will follow through. In the meantime, Sustainable Jersey’s model stormwater ordinance provides a critical tool for communities that choose to adopt it. The ordinance will provide significant water quality and flood risk reduction benefits to communities by going beyond New Jersey’s minimum requirements for stormwater control. In municipalities that choose to adopt it, development projects will be required to retain stormwater on-site, preventing it from becoming harmful runoff in the first place. Many jurisdictions around the country have adopted similar requirements, demonstrating that on-site capture is a feasible and effective way to control stormwater. This requirement will be applied equally to new development and redevelopment projects, as well as to smaller sites currently exempt from the rules. The smaller the sites required to meet the standards, the more “points” the municipality will receive toward its sustainability certification. This change is important because of the cumulative impact of small developments on local waterways. Another key element of the model ordinance is a requirement for sites to meet runoff control standards using beneficial green infrastructure. Green infrastructure practices mimic natural processes by infiltrating water into the ground, allowing it to be taken up by plants, or capturing it for reuse. They include technologies like green roofs, roadside plantings, porous pavement, and rain barrels. Green infrastructure also provides multiple co-benefits such as better air quality, reduced urban heat island effect, higher property values, improved community health, and reduced energy usage. 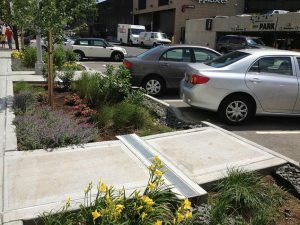 By requiring private developers to use green infrastructure, the new model ordinance complements another Sustainable Jersey “action,” adopted in February, that rewards municipalities for making public investments in green infrastructure. 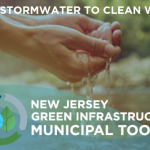 We thank Sustainable Jersey for taking these steps to help communities address their water pollution problems in a proactive and forward-thinking way, and we hope that municipalities across the state act quickly to implement these important tools.